Imagine, for a moment, a foreign government spying on U.S. citizens, using the most sophisticated cyber-intelligence software available. This government particularly targets students and, through the use of fake Facebook accounts and other means, smears those that criticize its policies. Consider a government that, in addition to these activities, provides U.S. members of Congress with elaborate, all-expenses-paid trips to beautiful resorts, in addition to very generously funding their election and re-election campaigns. It then writes legislation favorable to it, that these members of Congress introduce and vote on. Currently, Washington, D.C. is all agog over allegations that Russia attempted to influence the 2016 presidential election that brought the incompetent, unstable and erratic Donald Trump to the White House. The investigation into possible collusion between the Russian government and the Trump campaign makes almost daily headlines. Politicians of all stripes invoke it in one way or another to get favorable sound bytes on the evening news. Yet no one is investigating, or even talking about, the other country whose government is spying on U.S. citizens, and which is, for all intents and purposes, buying member of Congress and writing U.S. legislation. That country, of course, is Israel. 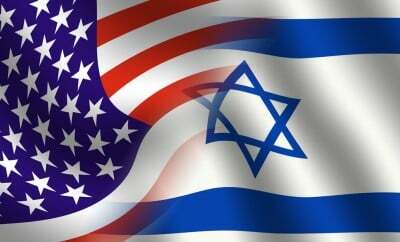 For years, the U.S. has had a ‘special’ relationship with Israel. This includes providing Israel, a wealthy, prosperous, First World nation, with more foreign aid than it gives to all other nations combines. It means vetoing in the United Nations any resolution criticizing Israel for its many war crimes and crimes against humanity. It means basing U.S. foreign policy, especially in the Middle East, not on what is best for the U.S., but what is best for the Israel. Although the nature of this ‘special’, albeit dysfunctional relationship has long been known, a documentary recently made by Al-Jazeera clearly exposes it. Information on BDS activists and activities is collected and used against them, if possible. What, one wonders, would the reaction be if Russia, for example, was working closely with a prominent U.S. newspaper to assure that its point of view was reflected? How would members of Congress react if the government of Iran were found to be spying on U.S. students? Yet, due to the ‘special relationship’ that the U.S. has with Israel, violation of U.S. laws are overlooked; the privacy of U.S. citizens can be illegally invaded, they can be threatened with bodily harm by representatives of a foreign government, and the U.S. government will simply look the other way. It would be one thing if some ragtag groups attempted, even successfully, to commit the crimes against U.S. citizens that Israel commits. But these organizations are well-financed and are affiliated with, and have the complete support of, the Israeli government. In the movie, the director-general of the Israeli Ministry of Strategic Affairs discusses Israel’s close association with the so-called ‘Foundation for Defense of Democracies’, a Washington, D.C.-based neo-conservative think tank. Sima Vaknin-Gil says this, when discussing Israel’s efforts to track BDS activists: “Data gathering, information analysis, working on activist organizations, money trail. This is something that only a country, with its resources, can do the best. We have FDD. We have others working on this.” Included in FDD’s very pro-Israel bias are frequent criticisms of Iran’s charitable organization EIKO, ‘Execution of Imam Khomeini’s Order’, whose mission is to increase the number of schools and other services to the people of Iran. Why is this allowed? Why does the U.S. allow a foreign government to spy on its citizens for the sole purpose of discrediting them, influence its newspapers and otherwise interfere in its workings? It is certainly a cyclical pattern. Pro-Israel lobbies ‘donate’ to the campaigns of members of Congress, who, in turn rely on those very generous donations. In order to keep them flowing in future campaigns, the Congress men and women must then do their master’s bidding. As they do so, the rewards, in the form of contributions and ‘fact-finding’ or ‘educational’ trips, for themselves and their spouses to exclusive Israeli resorts, are provided. With these contributions, the Congress members are re-elected, and they, in turn, reward their benefactors. Any close look at those benefactors’ illegal activities in the U.S., or internationally, simply won’t do. As a result, apartheid is supported, since any nation with separate laws depending on the ethnicity of the citizen must be considered apartheid. Genocide is also supported and financed, every time Israel bombs the Gaza Strip. Violations of international law are condoned with each new illegal settlement. The maneuverings of pro-Israeli lobbies which operate far outside of U.S. laws are exposed in this documentary. The way money is laundered, campaign contribution laws are violated, and all the attending corruption are on clear view, often vocalized by the very people committing these crimes. ‘The Lobby – USA’ is an amazing and important film, one that has been marginalized by the U.S. media, much like ‘My Name is Rachel’, the story of Rachel Corrie, a young woman from the U.S. who was killed by an Israeli bulldozer, was repressed short years ago. But the Internet now is far stronger and more ubiquitous then it was when Rachel Corrie’s movie was made. Israel is learning that it can’t hide forever, and ‘The Lobby – USA’ is an important tool in exposing its crimes in the U.S. Its international crimes are well-known, in part due to social media (despite Facebook’s censorship of much information about Israel’s crimes). It is a multi-part film, and is available on Youtube. It is vitally important for anyone who believes in democracy and justice, and sees those hallmarks of society being violated. A major violator of them on the international stage is Israel. ‘The Lobby – USA’ points this out, with clear, irrefutable facts.